Dr Jengo's World: More Updates from PCS Collectibles on their Mortal Kombat Klassic Statues! More Updates from PCS Collectibles on their Mortal Kombat Klassic Statues! Couple of days back, I posted some teases from Pop Culture Shock on their Klassic statues.. Here's more updates from them, together with info from Jerry himself on the StatueForum! 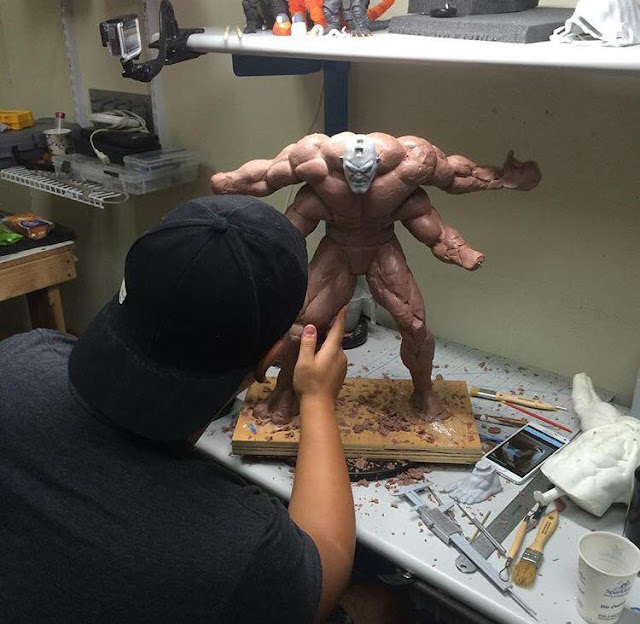 The 1/4 Klassic Kintaro statue is coming along fine, with Jerry stating that it will be ready and on display at NYCC 2015 (Oct 8-11). We won't have to wait that long for the next pre-order though.. 1/4 Klassic Shao Kahn will be up for pre-order sometime in August. And for those worrying about just adding more to the ever-growing PCS pre-order list, there's some good news! Klassic Jade and Mileena are almost ready! We should possibly have it in hand by early September I guess? Looking marvelous! And what's next for the Klassic line after Shao Kahn and Kintaro? Very possibly it could be Ermac, Rain & Kitana, which were bumped back for the 2 Bosses, according to Jerry. However, no updates about the MKX line however.. Looks like Old is Gold for the moment!